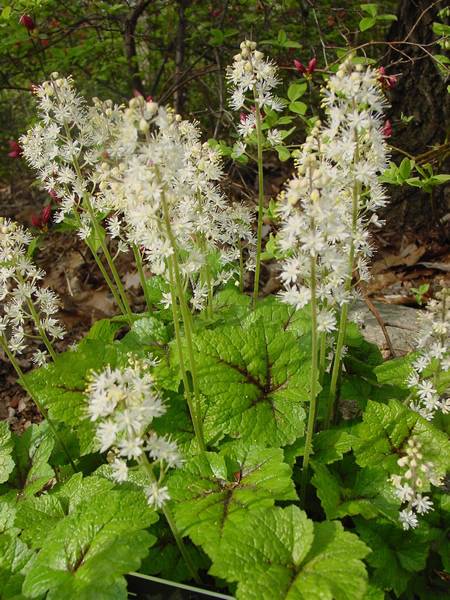 Tiarella is a spectacular native plant that gets its common name from the white, foamy-looking flowers. 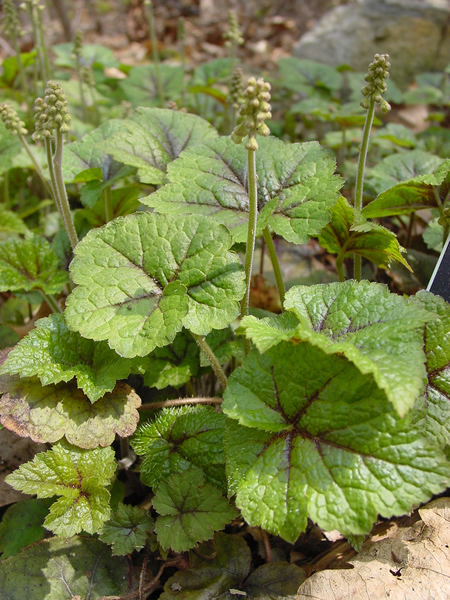 It is an easily grown perennial that can be used as a ground cover in somewhat shaded areas. This hardy plant has something to offer all year round. In late April it exhibits dense, white, feathery spires that give it a lace-like appearance. The handsome “maple-leaf” foliage is attractive all summer long, sometimes turning red in autumn. Depending on the variety, the summer foliage can vary from solid, deep green to variegated with dark red markings. There are also different varieties selected for their growth habit with some being “runners” and others being “clumpers.” Foam flower is perfect for mixing with lower-growing woodland flowers in moist soil.